We are your one-stop shop for all tyres and wheels in Mudgee, Putta Bucca, Gulgong, Hargraves, Rylstone and Capertee. We stock a range of cheaper, budget tyres, to high-end alloy wheels. There is something to fit all makes and models! With friendly, expert advice on all your tyre, wheel, brake, mechanical repair and servicing needs for your vehicle, we'll give you a customer service experience that will keep you coming back. 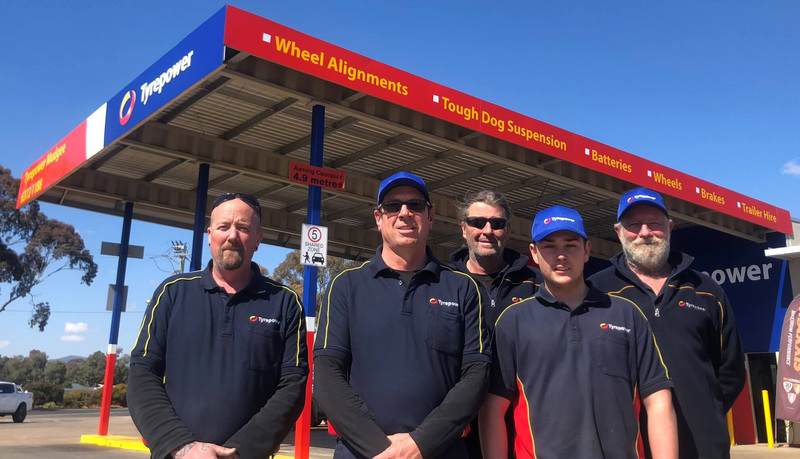 So if you are in Mudgee looking for all the big names in tyres including Dunlop, Michelin, Toyo, Goodyear and Maxxis call us now and get the POWER at Tyrepower Mudgee. With 80 years industry experience, we are your one-stop shop for tyres, wheels, Batteries and Suspension in Mudgee. Located on the corner of The Sydney Road at 1 Horatio St, Mudgee. We stock a full range of tyres to suit all budgets and applications. We stock all the big brands as well as an extensive range of alloy wheels and 4WD suspension components.